www.codexfoundation.org: " The Codex Foundation exists to preserve and promote the hand-made book as a work of art in the broadest possible context and to bring to public recognition the artists, the craftsmanship, and the rich history of the civilization of the book." Dimensions of printed pieces: roughly A4 (8.25" x 11.75"). Media varies by artist: letterpress, screen print, hand-set type, photopolymer, wood type, silver-gelatin, aquatint, mezzotint, intaglio, collograph, linocut, inkjet, and wood engraving. 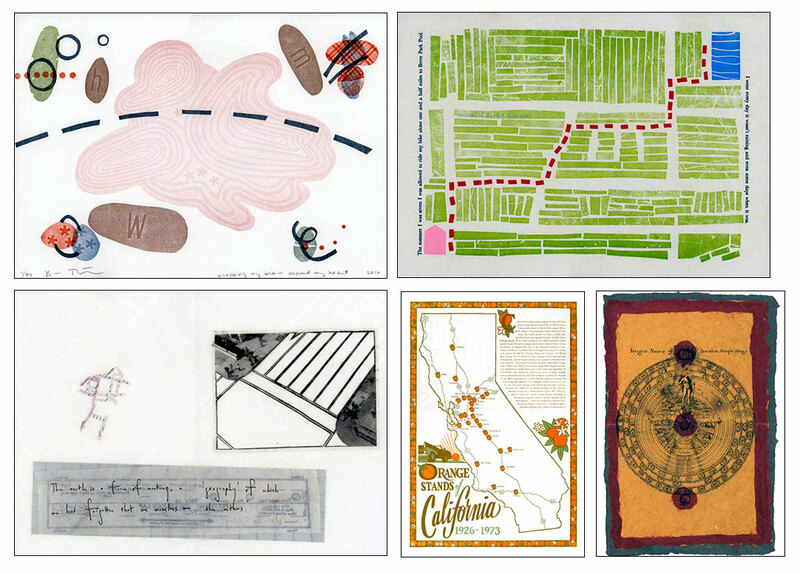 Papers include and vary by artist: Cave Paper, St. Armand, Magnani, Zerkall, Hahnemülhe, and Fabriano; from handmade to industrial; gossamer-thin to heavyweight; kozo and cotton. Each artist work laid in 8.25 x 11.75" folder with artist information and description of work printed on back. Each piece signed and numbered by the artist. Laid in cloth covered clamshell box (8.75" x 12.5" x 2.25") by John DeMeritt. Codex Foundation: "Cosmos' is defined as an ordered universe. A cosmos may be as minute as an atomic particle or as great as the universe itself and, by definition, everywhere in between as well. Chaos, the opposite of cosmos, is a disordered and primordial pre-condition out of which the cosmos itself is formed. "Mapping is a fundamental mode of human understanding and enterprise. We find maps in sand painting, scratched and painted on walls, inscribed on velum, and printed on paper. Mapping, often understood as ordering the territorial and the practical—star maps, oceanic and aerial navigation, boundaries and roads, gene maps—can be much, much more. What else? Invented islands? Impractical cosmographic imaging? Occult lines of force—lines of communication? We will experiment! "Mapping the Cosmos, the second CODEX Assembly/Exchange, consists of a carefully curated anthology of commissioned maps and cosmological meditations from thirty-three of the best and most imaginative artists and printers practicing today. The contributors, representing six nations on four continents, are chosen from among the 400+ artists and publishers who have exhibited at the previous five CODEX International Book Fairs. They have graciously donated their work in an effort to support the Codex Foundation's mission to provide artists, bibliophiles, collectors, and curators access to an international and reliable marketplace for extraordinary books and ideas. " By Walter Bachinski and Janis Butler, Victoria Bean, Karen Bleitz, Carolee Campbell, Aaron Cohick, Crispin & Jan Elsted, Nacho Gallardo, Martha Hellion, Sarah Horowitz, Mikhail Karasik, Peter Rutledge Koch, Patricia Lagarde, Clemens-Tobias Lange, Alan Loney, Peter Malutzki & Ines von Ketelhodt, Russell Maret, Rick Myers, Didier Mutel, Robin Price, Harry Reese & Sandra Liddell Reese, Dmitry Sayenko, Veronika Schapers, Gaylord Schanilec, Johannes Strugalla & Francoise Despalles, Richard Wagener, and Sam Winston. San Francisco: Codex Foundation, 2015. Edition: thirty copies hors de commerce for distribution to the participants; 24 number copies offered for sale. Box 8.75" x 12.5" x 2.25". Printed pieces: roughly 8.25 x 11.75". The printed works include: letterpress, screen print, hand-set type, photopolymer, wood type, silver-gelatin, intaglio, inkjet, and wood engraving. Papers: vintage Barcham Green, Zerkall, and Magnani. From handmade to industrial; gossamer-thin to heavy-weight; kozo, cotton, and more. 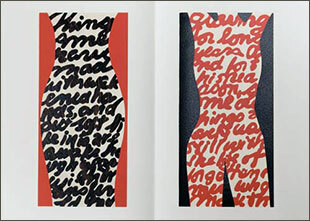 The designs range from broadsides to chapbooks to folded folios. Each work is wrapped in Kawashi paper donated by Hiromi Paper. The complete set is housed in a quarter-leather box from John DeMerritt Bookbinder. The Codex Foundation: "In celebration of the 5th CODEX Symposium, the 10th anniversary of the CODEX Foundation, and the 500th anniversary of the death of Aldus Manutius - we are pleased to announce Alchimie du Verbe, the first ever CODEX Assembly-Exchange, a carefully curated collection of printed works from some of the finest book artists and printers in the world. "From the earliest written record there have been instances of allegorical figures, shaped language, secret codes, and philosophical alphabets. We have seen the brilliant De laudibus sanctae crucis of Hrabanus Maurus in the 9th century and the Hypnerotomachia Poliphili in the 15th century. In the last 150 years, Arthur Rimbaud's Alchimie du Verbe, Guillaume Apollinaire's Calligrammes, Brazilian concrete poetry, and the mesostics of John Cage are noted examples. In the present context, the artwork of Karen Bleitz, Martha Hellion, Russell Maret, and Harry and Sandra Reese, as illustrated in this brochure, are exemplary. "The book as a spiritual instrument has long been associated with the ancient alchemical tradition of the transformation of self and matter. From the Utriusque Cosmi... of Robert Fludd in the 17th Century to the Neo Emblemata Nova of Daniel Kelm in the 21st, the alchemist has remained a vital metaphor in understanding the works of the creative imagination. "The pieces within this modern Alchimie du Verbe range from traditional private press and playful typographic experimentation to contemporary avant-garde. In other words - a collection truly representative of the CODEX bibliosphere - presenting an international and inclusive view of the book arts as practiced by some of the finest artist-printers working in the field. The symbolic imagination is a constant force in the art and thought of all ages and cultures. In the spirit of the internal bibliosphere and the studium codex, we raise a glass to the typographic imagination and the poetical alphabet." Alchimie du verbe = alchemy of the word; "Alchimie du verbe" a poem by Arthur Rimbaud. Assembling = a procedure for the transmission of art adopted from the Fluxus movement's practice of calling for artwork to be collected from and then redistributed to artists in bundles. Berkeley / Stanford: The CODEX Foundation/ Stanford University Libraries, 2013. 9.5 x 12"; 526 pages. Cloth covered boards with red title letters on front board and spine. In white dust jacket with red title letters on front cover. 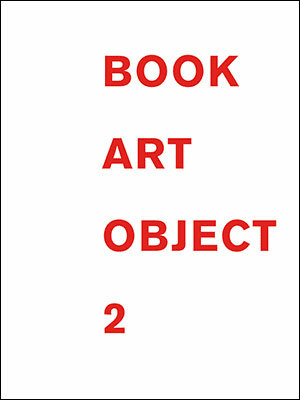 Codex Foundation: "Book Art Object 2 includes a record of the third biennial Codex Book Fair and Symposium: 'The Fate of the Art,' held in Berkeley, California, 2011. Codex events showcase contemporary artist books, fine press and fine art editions produced by the world’s most esteemed printers, designers, book artists, and artisans. 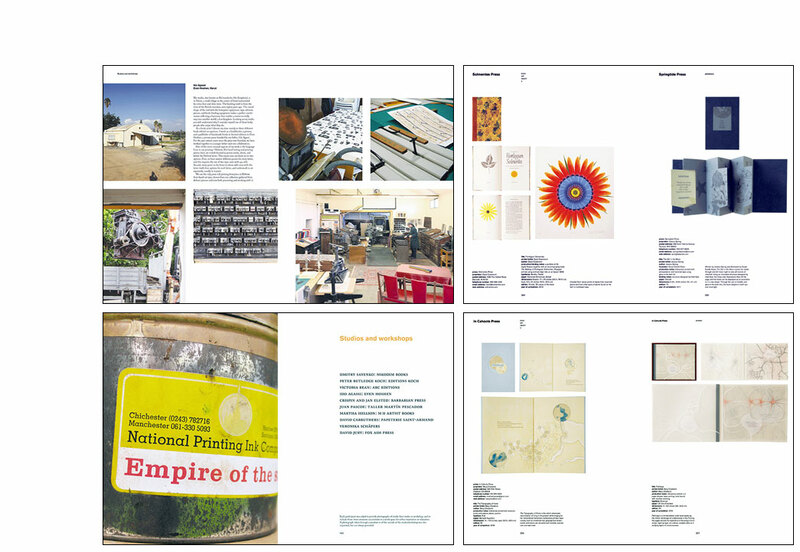 "There are also dispatches from renowned artists/printers/curators: Johannes Strugalla and Ulrike Stoltz: Germany; Jason Dewinetz: Canada; Des Cowley: Australia; Sarah Bodman and Tom Sowden: United Kingdom; Sandro Berra: Italy."